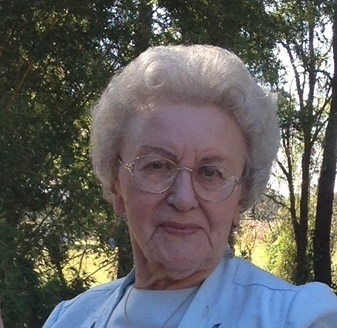 Maria K. Rogers, 85 of Lake City, passed away on Friday, September 7, 2018, at the Haven Suwannee Valley Hospice Care Center in Lake City. She was born in Budapest, Hungary to the late Stvan and Maria Rauth Kornoth. Mrs. Rogers was raised in Hungary during the German occupation of WWII and she spent 3 years in a German concentration camp. She lived many years abroad with her late husband of 60 years, Walter L. Rogers, during his Army career and permanently settled in Lake City in 1972. Mrs. Rogers owned and operated the Darby Rogers Century 21 in Lake City for many years. She was raised in the Catholic Church and for many years also attended Mt. Olive Baptist Church as well as Southside Baptist Church where she enjoyed her time serving in the children’s church. She was preceded in death by her husband, Walter L. Rogers, one sister, Elisabeth Karnoth Keller and one brother, Frank Karnoth. Survivors include her son, Walter L. Rogers, Jr., Lake City; one sister, Katharina Karnoth Hassa; eight grandchildren, Walter Brandon Rogers, Chase Matthew Rogers, Victoria Michelle Rogers, Anna Meghan Rogers, Abigail Morgan Rogers, Katherine Elizabeth Read, Jonathan Money Read and Anne Michaela Read; and one great grandson, Walter Henry Rogers. A funeral will be conducted on Wednesday, September 12, 2018 at 11:00 AM at Epiphany Catholic Church with Father Rob Trujillo officiating. Interment will follow at Mt. Olive Baptist Church Cemetery in Suwannee County, FL. Visitation with the family will be Tuesday evening from 5-7:00 PM at the funeral home.